We will be more political, more of the time. At the Open Contracting Partnership, we said that 2018 would be all about you and we are committed to continuing that spirit in our next 4-5 year strategy. This blog summarises the key things we’ve been hearing from you so far and what we will do about it. Public contracting is a huge topic that cuts across the whole of government. Inertia and vested interests are legion. Unless power realigns behind our allies, progress can easily stall. We want to ensure that open contracting reforms push through these barriers to deliver transformational change. It’s tough changing public procurement and it’s easy to lose momentum on the way. We planned for 30 commitments, 20 publishers of open contracting data, 10 decent reform programs, and five impacts from 2015-2018. We’ve exceeded the sign-ups and the publishers in our strategic targets but we’ve fallen short on impact. Now, we set ourselves a high standard to measure impact. We want to drive systemic change and create a fundamentally better equilibrium, not just change policies or increase disclosure. But, we aren’t yet catalysing enough of those changes and the drop off rate is too high. You also asked for more continuous support in the trenches to deepen and embed the mandate for change. You recommended that we adopt a more problem-driven approach to all our interventions and, rightly, that we steer clear of ‘transparency for transparency’s sake’. And you want more case stories and process guidance about how to implement open contracting to reach a specific policy goal. Lastly, you’ve suggested that our ‘model’ needs adjusting as it is too linear. Almost none of our successes so far show a neat chain from a commitment to eventual impact. First up, we can reframe our messaging and guidance to make it clearer that open contracting is a means to an end. Impactful reforms should start with a clear articulation of a problem or goal. One significant pivot for us will be to work more with those actors that have pressing problems that need to be solved, be it at the city, sub-national, or federal level. These agencies, ministries of education, infrastructure, or health have very concrete goals such as increasing access and timeliness to medicines, high-quality school meals, and well-planned roads. Through open contracting, they will be able to achieve these impacts better and own the process. This fits well with the lessons that some of you shared with us from the tech adoption life cycle. We are looking at how to cross the chasm from innovators to early adopters (where we currently are) to an early majority of users who are focused on functionality and easy application rather than novelty and experimentation. We are considering changing our advocacy and services from ‘open by default’ to ‘open by design’. To us, the latter means designing reforms around desired outcomes and working backward. We can also better articulate and share the intermediate results on the way. We will experiment with much more embedded and sustained support to partners through a mentorship program designed to guide champions through ups and downs towards impact and documenting what we learn along the way. We’ve recently selected the super-smart social change organisation, Reboot, to help us design and deliver a peer-mentorship program to that end. We can also better plan for scaling our support up and down faster and smarter in response to changes. We’ve already started making changes to our portfolio of country intervention based on this insight. Our first strategy was focused on experimentation and generating momentum. 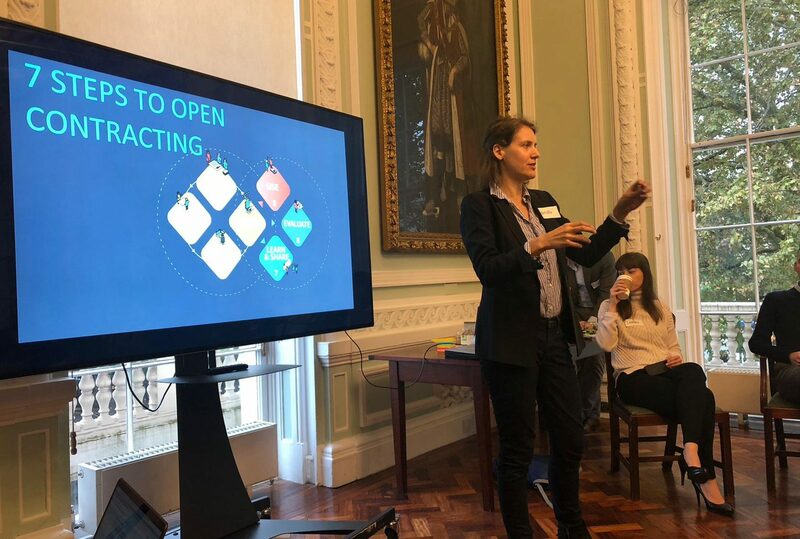 We had a clear set of engagement criteria but, enthused by the huge bottom-up demand for open contracting, we’ve been relatively opportunistic and undemanding in our partnerships. Many of you told us that, in our next act, we should be more discriminating in selecting our engagements while leaving room for experimentation and surprises. You want us to understand local politics better and convert ‘thinner’ OGP commitments to ‘thicker’ mandates for change involving a diverse ecosystem of actors who can collectively drive the process forwards over the inevitable dips and push backs. So we will revamp our engagement criteria to include a much better understanding of the local political economy in order to better prioritize our support and make the most of our relatively lean resources. This means a deeper pre-assessment process that better maps out power dynamics and the ecosystem. We’ve learned this lesson the hard way in a number of countries where we supported strategic procurement reforms and enthusiastic reformers. But then processes stalled because of a lack of coordination between ministries, differences between central and regional authorities, or elections and other political transformations. We will be looking for how we can get a stronger mandate for systematic change at the start. We want to leverage the goodwill from processes like OGP but convert them into thicker mandates with clear political leadership, concrete responsibilities for officials, and proper resources to implement open contracting in full. Our support will also require building coalitions with a clear vision of the problems open contracting can solve, the drive to keep reform moving, and the capacity to see it through. We envision investing in fewer, but deeper interventions. Sometimes we might want to start with a small pilot before scaling or embedding within a larger reform project. We’ve prioritised government champions, especially procurement agencies, as the key to impactful reforms. No one disagrees with that but we’ve had a good steer from many of you to assess and strengthen the whole ecosystem better. In our field survey last year, people especially wanted more connections to business and journalists. So we are planning to do exactly that with new programs of work to engage and support private sector, media, academia, and procurement monitoring organizations. This means articulating specific open contracting journeys for them that complement the one we have for government agencies. We will offer more specialized support and guidance for these important actors. To that end, we’ve begun a series of events to engage journalists, including with the BBC. We need more private sector involvement as advocates, enablers, and beneficiaries of open contracting. This is going to take a lot of patient outreach. We are currently prioritizing infrastructure and extractive companies and e-procurement vendors. These private sector actors can help us scale rapidly and have major stakes in better outcomes from contracting. You pointed out to us what an ally the academic community is, especially for our ‘problem/impact-oriented’ approach. We will articulate a research agenda and scale up our engagement. You like the OCDS in general but want us to make it more digestible and bite-sized. As someone put it to us recently, “You are winning the battle on the standard, now you need to win the battle on data quality and use.” It is surprising how bad procurement information often is and how little gets used for analysis and decision making. And, if a government isn’t using its own data, it won’t invest in making it better. You also want to see us doing more to help support data use directly on the ground in countries. So we are going to invest in improving data quality and focus much more clearly on how the data will be used, especially by government ‘problem-holders’ or line agencies who are actually using the data themselves. If they are not prepared to eat their own cooking, we shouldn’t allow others to dine out on it either. We shouldn’t be enabling dumb pipes of government info for others to somehow mystically use to create accountability. We will develop a more systematic approach to measuring the ‘quality’ of our publishers and tracking their improvements or regression. We plan to replace our beginner, intermediate, and advanced framework with one more focused on the quality of the data for users. This will require more analytical team skills and a more diagnostic approach to our engagements. To support the use of open contracting data, we are developing user guides, a tools directory, and a tool to collect and analyze OCDS data: OCDS Kingfisher. Next up, will be rolling out web-tutorials and training en masse. We will continue to ensure that the OCDS remains the best means of disclosing contracting data working with other major players like the EU and WTO’s Government Procurement Agreement. Of course, the OCDS is a means to an end, not an end in itself. 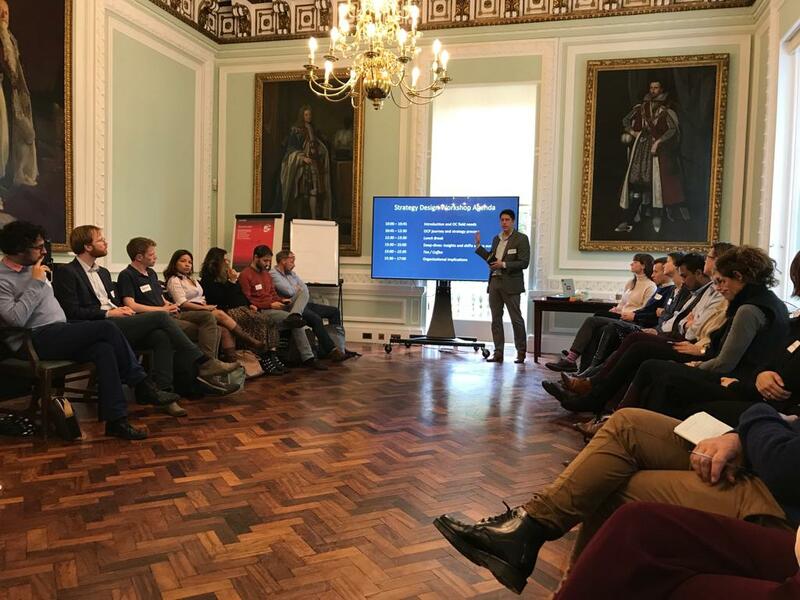 You told us that to have to more transformational impact, we need to shift the frame from a focus on ‘just the data’ to the whole process of procurement reform. Open to measuring results, sharing impacts, and lessons learned. Our next steps will be to provide clearer guidance on what a transformational, digitised public procurement system should look like across these various dimensions and work out where we can add the most value and where we can leverage others from the international community as partners. 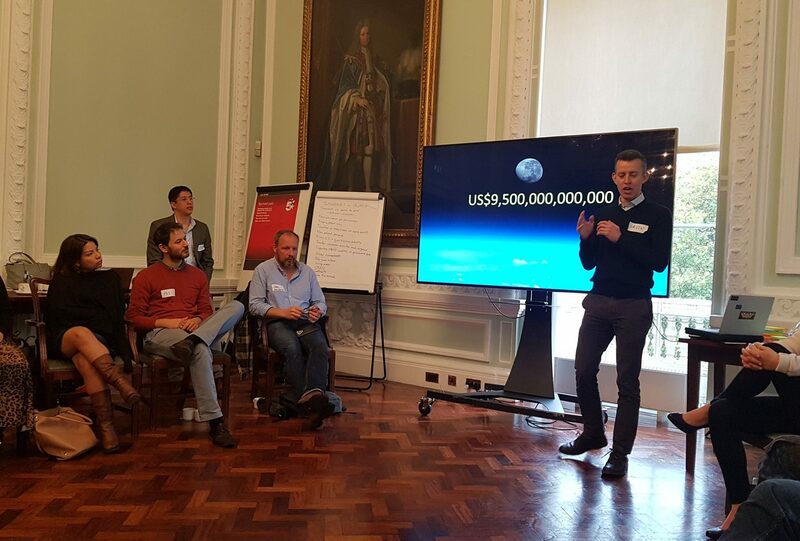 When we formed, it was very motivating and galvanizing for us to have a clear end date and put ourselves out of business by building a global field of policy and practice on open contracting. We set an ambitious timeline to shut ourselves down after 8 years consisting of two strategy cycles (one to learn, and one to scale). However, lots of our local partners aren’t so keen on this limited life. You want us alongside your work. You asked that we support and cheerlead for you and that we don’t abandon you in the middle of multi-year plans to drive reform. So we are planning to stick around for a little longer. OCP will be more of a three-act structure. This next strategy then covers the difficult middle part of the story where the initial excitement wears off and the challenges multiply before they are triumphantly overcome in the third act. We hope. A shift to ‘open by design’ from ‘open by default’. There are some strong feelings out there so which is more important to you? You’ve suggested that OCP could do indexing and benchmarking around public contracting. It’s a big investment. What are the best examples out there to copy and how do you make it sustainable? We are considering certifying OCDS support providers but are still trying to figure out how to have a credible, fair certification program and not become gatekeepers or blockers of a growing field. Suggestions? Have you seen coaching and mentorship models that work well and get to real impact? We will be sharing full draft master plan in early 2019 that will also include revamped strategy targets. In the meantime, keep the great suggestions coming to help us work smarter for more impact. We have a rolling strategy survey here or you can drop us a note with any thoughts or arrange a call with kfrauscher [at] open-contracting [dot] org. Thanks! 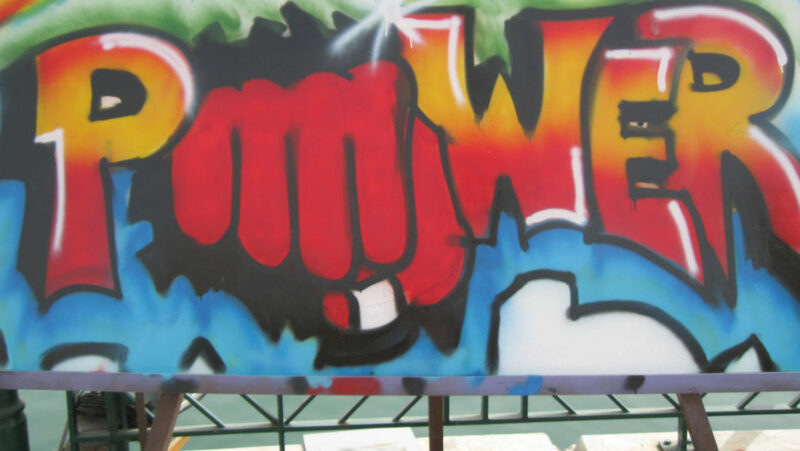 Foto: Graffiti Student Competition, Kuwait.